I have numerous articles at this website covering the rapid proliferation of MRSA a supergerm and how easy it is spread among the general population. Here is a recent study reported in the UK Telegraph on a dietary and nutritional supplement approach to curbing such bacteria. Build white blood cells as a protective shield. 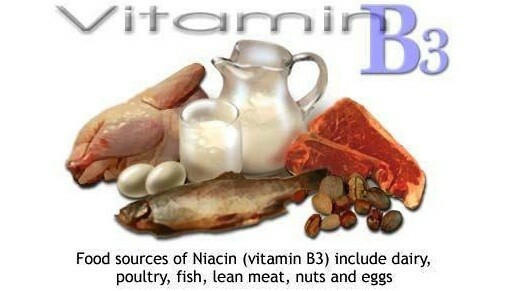 Vitamin B3 (AKA Niacin) is used therapeutically to help reduce cholesterol and triglycerides. What are the side-effects or toxicity of an overdose from vitamin B3? Skin Flushing (complexion redness from dilating the capillaries) is common but temporary. But in doses over 2000mg daily – not taken by any sane person – liver damage can result. People with a history of liver disease or abnormal liver function, diabetes, peptic ulcers, gout, cardiac arrhythmia, inflammatory bowel disease, migraine headaches, or alcoholism are more susceptible to the adverse effects of excessive nicotinic acid intake. Niacin is commonly sold in doses of 250mg, 500mg, or up to 1,000mg. Food sources include protein foods such as red meat, eggs and fish. To avoid excess dietary fat, take a pill. Niacin in a pill has some discomforts. The most common side-effect is the hot, tingling niacin flush a redness that can irritate the skin for up to 30 minutes after taking niacin. The flush is said to have heart benefits reducing unhealthy cholesterol. Some authorities advise to take aspirin before using niacin to reduce the flush. Non-flush niacin (niacinamide) is also available and the dose should be monitored by a doctor. Overdose (some say as little as 100 mgs, other sources say 2grams (2,000mgs) can cause liver damage and increase gout for those at risk.